Wheelchair Quilts for the Elderly. I wanted to share the latest project that I have been working on. I’m coordinating donation quilts for are local nursing home through are local Modern Quilt Guild. This project is to help are local elderly patients in a nursing home near by that is in need of lap quilts for when they are up and about in there wheelchair’s. This is a project close to my heart, I have worked many years in the nursing field with the elderly, I feel they are often overlooked and misunderstood and in most cases could really use a pick me up. So in turn I wanted to design a quilt that’s functional but yet durable and warm. While using up orphan blocks that have just been waiting for a perfect use. 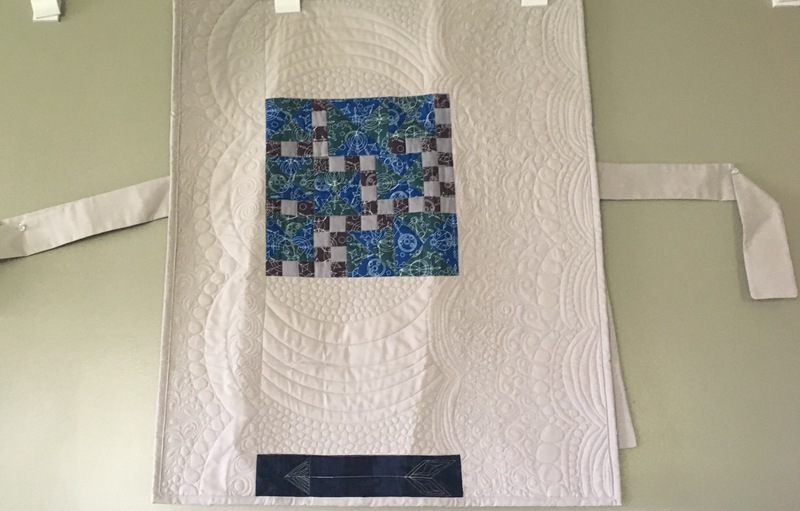 After some research and lots of different layouts and measurements from different wheelchairs, I came up with a quilt that would fit nicely on there lap and tie to the arm rests of the wheelchair. So when they are up and about they can stay warm without having the quilt slip or catch in the wheels of the chair when being pushed. 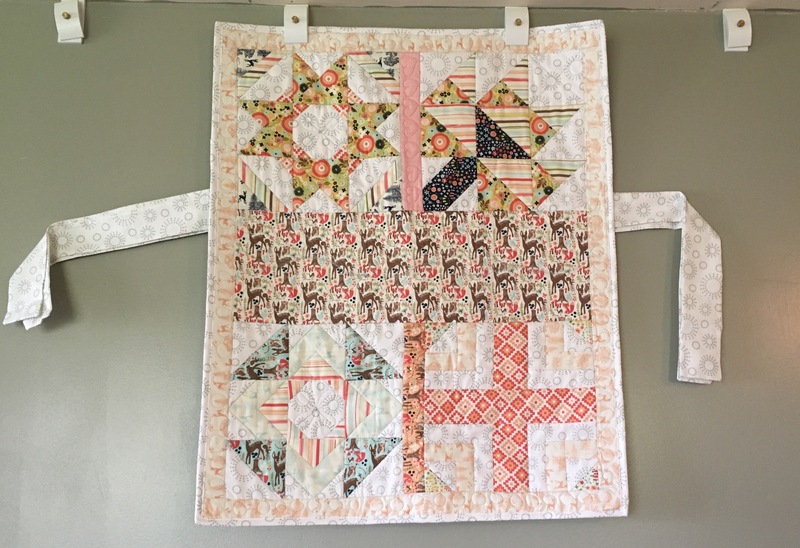 I thought this would be a great fit for my local Modern Quilt Guild, to use up beautiful blocks, they have lying around and make a unique quilt with them that’s easy to assemble and is functional for a great cause. So in turn I called the local nursing home found out that they where in need of 20 wheelchair quilts, I volunteered to make that happen, so I have had a few other ladies willing to help in my guild to make this goal a reality. For are wonderful elderly patients, I asked the director to keep it a secret so when they are delivered it will hopefully brighten there day and maybe give them hope and a reason to keep living. The elderly patients are the foundation on which we have learned so much. I want to be able to do this small act of kindness to repay all of there kindness they have shown others in their life and make them feel special even if it’s by giving them a simple quilt. All it takes is one kind deed to make a lasting impression on someone’s life! So I will be posting to my blog about quilts received, as well as the ones I make and will post all of the finished quilts before they are donated. I hope this inspires you to go out and spread some kindness in your community.